The Easter Vigil ranks as the highest among the celebrations of the liturgical year. It has four parts that unfold the Paschal Mystery. (1) The Solemn Beginning of the Vigil, (2) The Liturgy of the Word, (3) Baptism Liturgy, (4) Liturgy of the Eucharist. This year we will be receiving over 25 children and adults into full communion with the Catholic Church through Baptism, First Communion and Confirmation. This beautiful bilingual Mass is very important to the church and can be longer than a regular Mass—about three hours— as well as heavily attended due to receiving new members into the Church. If you plan to attend this Mass, please be sure to come early as we do not allow the saving of seats. This is the only Mass offered on Saturday, April 20th. 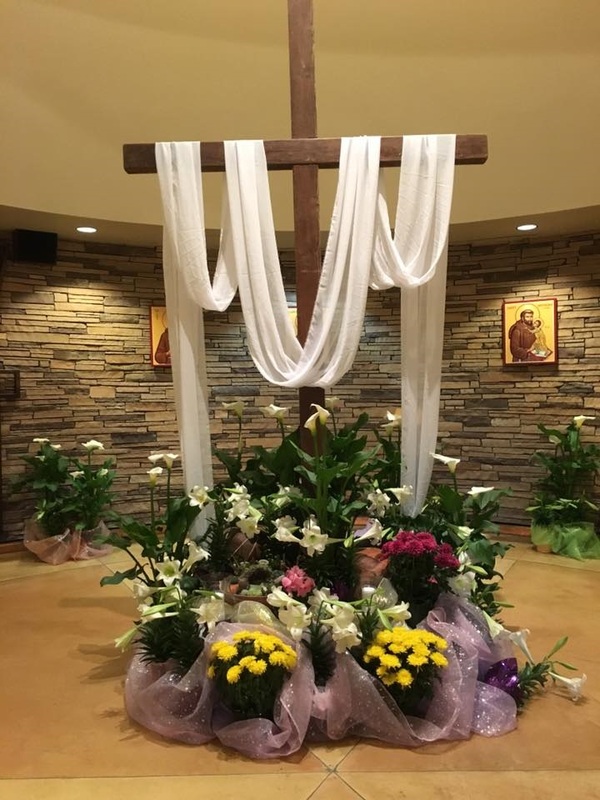 Please be sure to see our full schedule on the back page for all Easter Sunday Mass opportunities.